When Can I Go Back to my Workout Routine Post-Knee Surgery? Knee surgery helps correct conditions so you can lead a healthier and more active lifestyle. After you’ve recovered, it’s time for your return to the many activities that were too painful and difficult for you before surgery. It’s important to be careful when going back to your workout routine after knee surgery. Be sure to check with your doctor about when it’s safe to return to working out, but the general rule is you can resume many of your normal activities after about 12 weeks. Staying active also strengthens your knee and increases the likelihood it will function well for many years. The American Academy of Orthopedic Surgeons (AAOS) recommends up to 30 minutes of exercise two to three times per day when you’re in the early stages of recovery. You can also walk daily and not count it towards the 30 minutes. Strength: Building up your muscles that support the knee reduces stress on your knee joint. Stronger muscles also assist your knee joint in absorbing shock. Flexibility: Stretching the muscles you've strengthened is key to restoring range of motion and injury prevention. Stretching gently following strengthening exercises helps to reduce muscle soreness and keeps your muscles long and flexible. It’s important to talk with your doctor about his/her recommendations for activity based on your needs and overall health. Generally, low-impact exercises are recommended over high-impact workouts that can stress your knees. Check with your doctor before starting any of the following activities. Walking is one of the best exercises to build strength in your knee, to burn calories, and for staying heart healthy. Begin with smaller steps and short walks. Build up gradually over time to larger strides and longer distances. Swimming doesn’t put weight on your knee, making it one of the best ways to exercise without putting stress on your knee. Dancing in any form of gentle dancing is a great way to use leg muscles during a light aerobic workout. Avoid twisting, jumping and abrupt movements that misalign your knee. Cycling is an excellent way to build back the strength in your knee. It’s important to cycle short distances and increase the distance slowly. Stay on flat surfaces and avoid hills. If you experience any knee pain, adjust the exercise or take a break. Yoga workouts using gentle stretching movements are great ways to prevent stiffness, keep you flexible, and increase your knee health. Don’t perform twisting movements. It’s important to protect your knees by keeping them in line with your hips and ankles. Talk with your yoga instructor before class so your limitations are understood. Calisthenics are simple exercises that use rhythmic movements to develop strength while increasing flexibility. You could also try a gentle aerobics workout routine. It’s important to take things slowly. Gradually build your workouts into longer and more comprehensive exercise routines. Check with your doctor before starting any exercise workout after knee surgery. Most importantly, stop working out immediately if you have any knee discomfort or pain. If you’d like to find out more about knee surgery and post-surgical care, contact us today for a consultation with Peter K. Sculco MD, Hip & Knee Replacement in NYC. 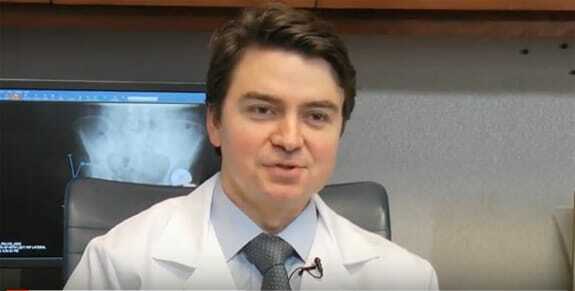 Dr. Sculco specializes in adult reconstruction of the hip and knee, including primary and revision joint replacements. Dr. Sculco is dedicated to providing expert care that results in better outcomes and faster recovery. Call 212.606.1771 today or fill out the form on this page to request an appointment.